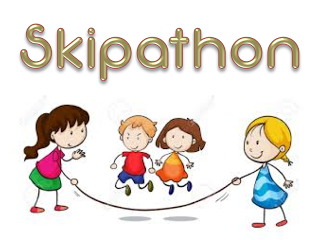 Sponsored Skipathon 25th April 2018. Parents Association School Fundraiser. Please return all sponsorship cards by April 24th. Thanks to Supervalu for sponsoring refreshments for children on the day!